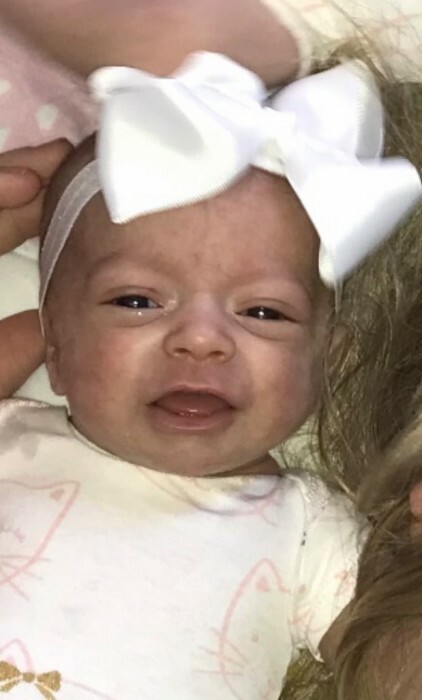 Natalie Grey Huffine, infant daughter of Troy and Sarah Emily Pennington Huffine went to be in the arms of her Lord April 12, 2019. Natalie was born February 24, 2019 in Cincinnati Ohio. Natalie was preceded in death by her paternal grandfather, Robert Benjamin “Ben” Huffine. In addition to her parents Natalie is survived by her other two triplet sisters, Mallory Jean Huffine and Karoline Paige Huffine; paternal grandmother, Teri Buhr Huffine of Grayson; maternal grandparents, Rodney and Donna Pennington Skaggs of Ashland; and a host for aunts, uncles, cousins and extended family who all mourn her passing.